Intrepid traveller Ali Hussain Mushaima is well-known for his unique Friendship Arabia tours - journeying by road from Bahrain to various corners of the world. The message has remained the same right from the time he launched his first trip, a 3-month drive to Europe, many years ago: spread the word about Bahrain, its people and all it has to offer. Ali's newest tour, a two month journey from June 23, 2010, is titled: "Tylos to Thassos, Voyage of Discovery". Early this morning, we left Damascus and took a three-hour drive to Palmyra. We visited the Ba'al Temple, the Ancient City and the museum. 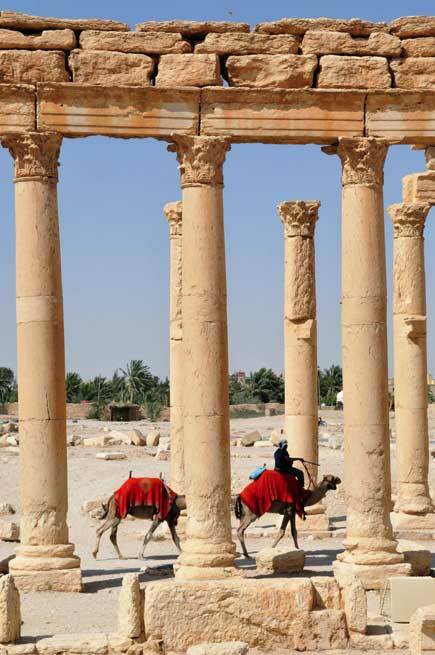 Palmyra was an ancient Aramaic city. 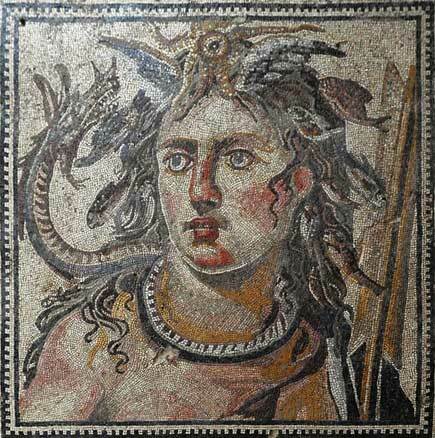 In times past, it was an important city of central Syria, located in an oasis 215 km northeast of Damascus and 180 km southwest of the Euphrates at Deir ez-Zor. It has long been a vital caravan city for travelers crossing the Syrian desert and was known as the Bride of the Desert. After we finished with the event organised by our Embassy, we were contacted by Syrian TV. We were interviewed, and explained the goal of our trip of promoting Bahrain, Syria and friendship between nations. It was an interesting interview and the network promised to support the Friendship Arabia Expedition. While returning to our hotel, we met Novakovic Vladimir and his wife Sladjana, who work for RTS 1, a TV channel in Serbia. They were on the last day of a three-week tour of Syria, and when they noticed the branding on both our vehicles, asked if they could interview us about our visit to Syria and what it has to offer. They told us how much they were amazed with what they had seen. Today, we began with a visit to the National Museum of Damascus, where we saw some amazing pieces from the Bronze Age. We started from Ugarit Hall where we saw how the first alphabet in the world originated and where clay tablets contain information about the Phoenicians and their contribution to the world as noted traders in the 14th century. Next to Ugarit is the Hall of Ebla, another important bronze age site discovered by the Italians who are still working and translating the huge royal archive of 17,000 clay tablets. Finally we toured the Islamic section which has wooden decorations, glass vessels, pots and handmade copies of the Quran; all dating back to different periods from the 12th century to the 19th. We started our day at 8am with breakfast, then met up with our guide Ahmad at 9am before driving to Shahba, which is 90 km from Damascus. 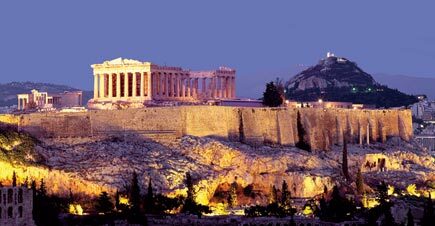 This city goes back to the 3rd Century AD, built by a Roman Emperor called Philip The Arab. Philip ruled from AD 244 till 249, and was the only Roman Emperor who was purely Arab.The city has a little theatre, now a museum, which has four original mosaics that have never been removed or restored; these mosaics are masterpieces which are well kept and good examples of so many other masterpieces of the Roman world in Syria. Then we moved on to another site not far away called Kanawat; another Roman city that has temples which were rebuilt as churches. The city, which is built with basalt like all sites south of Syria, is an example of many other cities everywhere in the area of Jabal Alarab and Huran. We set out from Saudi Arabia on Saturday morning and drove through Jordan into Syria. 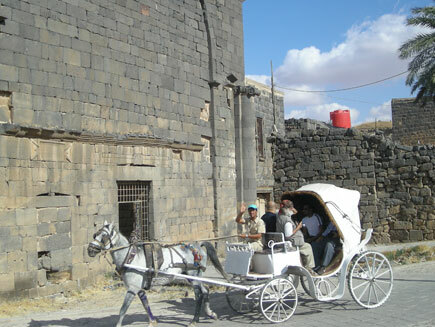 The lineup at the border crossing was long; once we were done, we drove to the old town of Bosra. This town, about 30 km from the border, is where our friend Zakareya hosted us during the Friendship Arabia Expedition in 2008 on our way to Britain. We met up with him once again, then decided to tour the old town. We hired a guide, Hammam, who showed us around and explained the history of the town. After we left the Fort Museum, we set off right away for Saudi Arabia, driving 500 km before spending the night in Hafer Al Baten town, which we reached around midnight. In the morning, we had our breakfast and then drove to the north of the country where a punctured tyre set us back a bit. It was too badly damaged to seal, so we had to replace the tyre with a new one. We stopped a few times – for lunch, fuel and refreshments and it was dark when we reached Turaif town which is only 175 km from Jordan. We drove around for quite a while looking for an internet cafe, almost giving up before came across one called Internet World. The owner Moammar Hussain was very interested to learn about the Friendship Arabia Expedition, and not only offered us the service for free, but also made us coffee. Every time we come to Saudi Arabia, we experience the great hospitality of its people, which makes us feel home. We are now heading for Jordan before driving to Syria, the first main destination on our trip. The team with Ambassador Sarra at the start of the tour. BAHRAINI adventurer Ali Mushaima and his team began their 12,000-km friendship tour from Bahrain to Greece from the Bahrain Fort yesterday. The publisher of travel guides, postcards and travelogues is leading the team of photographers and writers from Bahrain through Saudi Arabia, Kuwait and Jordan to Syria, where they will spend one week and then on to Turkey before finishing in Greece. During the six-week trip they will promote Bahrain, also called Tylos by the Greeks, and the pearling project, which Bahrain is aiming to register as a United Nations Educational, Scientific and Cultural Organisation (Unesco) site. The Bahrain International Circuit will also be spotlighted. The group will be travelling in the same Land Rover four-wheel drive that Mr Mushaima used in 2008 for his 24,000-km Bahrain to Britain voyage. The launch of the friendship tour, dubbed Tylos to Thassos, was attended by Culture and Information Ministry Under-Secretary Dr Isa Amin, Syrian Ambassador Suleiman Sarra, archaeologists, heritage experts and media. Visitors to The Fort Museum in Bahrain will notice in one of the corners a jar discovered in 1970 close to the north rampart, which contains approximately 310 silver tetradrachms, imitations of the official coinage of Alexander the Great used in the Seleucid Empire. These careful imitations were minted during the 2nd Century B.C. by a regional workshop, which has not been located with any certainly. Made up of two distinct types, all of these coins represent, on the front, Alexander portrayed as Hercules and on the reverse, a seated figure. Contrary to the Greek prototypes showing a bearded Zeus, the figure on the reverse side, beardless and rather juvenile in looks, represents Shame or Shamash, the principal divinity worshipped then in Eastern Arabia. 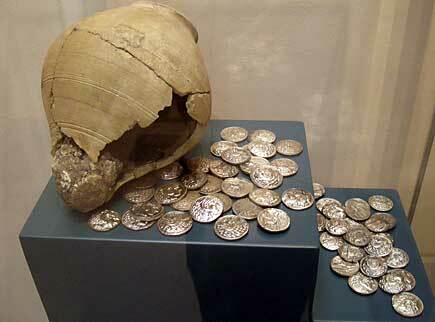 This exceptional monetary hoard makes up one of the most significant discoveries of Tylos phase Bahrain. Two years after his remarkable 24,000-kilometre Bahrain to Britain voyage, Ali Mushaima will be driving off for a Tylos to Thassos trip on June 23. This year’s two-month, 12,000-kilometre itinerary takes in six countries on a voyage of discovery of the links between Bahrain and Greece. The trip will promote Bahrain, also called Tylos by the Greeks. and the Pearling project, which Bahrain is aiming to register as a UNESCO site. The Bahrain International Circuit – venue for Formula 1 races on the island – will also be spotlighted. The Greeks were in Bahrain in the first three centuries of the current era though Alexander the Great (4th century BC) despatched three exploratory vessels down the Gulf, two of them possibly arriving at Tylos, the Hellenic name for Bahrain. The 16th century Arad Fort adapted a Greek word “Arados,” as its name though the Hellenic people never occupied the fortress site. Mushaima, publisher of travel guides, postcards and travelogues, will lead a team of photographers and writers from Tylos, or Bahrain , through Saudi Arabia, Kuwait, Jordan, Syria and Turkey before reaching Greece. Harvesting pearls was a major source of income for Bahrain and the region until the early 20th century. 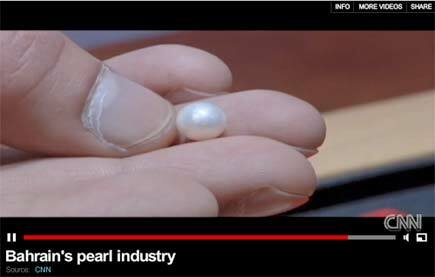 CNN has a video report on Bahrain's pearl industry. FILIPINO Carlo Olinarez, pictured here, won a Bahraini pearl ring in the Friendship Arabia competition to promote the country's pearl diving industry. 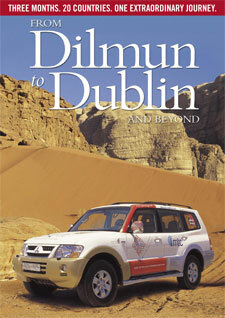 The contest also marked adventurer Ali Mushaima's road trips to Oman in December 2009 and March 2010 where he promoted tourism and heritage in Bahrain. Participants were asked to name any three of Bahrain's must-see attractions on the website www.bahrainguide.org and were entered into a raffle. The winning name was drawn at the Gulf Daily News offices in Sanad and Mr Olinarez received his prize, which came with a government certificate of authenticity. The Bahrain resident of 13 years works as a graphic design artist for Miracle Graphics. 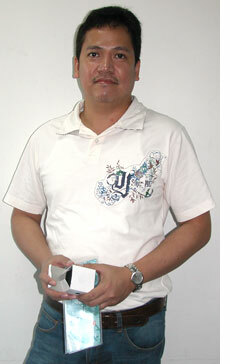 Mr Olinarez said he and his nine-year-old daughter Mary Carl would give the ring to his wife Grace for Mother's Day.